I'm really excited to have a makeup tutorial up on here for you guys today! I've been pretty obsessed with makeup for a long time- I think I started playing with it in 6th grade and it's been a fun avenue of experimentation and expression ever since. If you guys enjoy this let me know! I'm hoping to do more of these and offer lots of different looks. I will say this of today's tutorial: this is a lot of makeup, there's no two bones about it. You do not need to purchase or own every product I use here to make this look for yourself. Experiment with what you have, and have some fun! 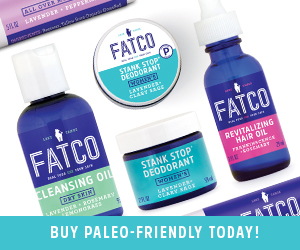 (Also note that no, these products are not "paleo"- they are just what I use and love but I'm sure you can find cleaner versions if that's something you're looking for). Products are all linked down below! Thank you for watching! P.S. I recommend watching this in HD. To do that, hit the settings button in the frame (gear icon on the lower right), hit quality, and then select 1080 HD. Or watch over on YouTube here.